The ‘Green Economy’ creates millions of new jobs across the world and this project was about training youth workers in helping young people to develop the skills and motivation to work in the ‘Green Economy’. GLEE – Green Light for Environmental Employment was a training programme for Youth Workers from four countries, the UK, Denmark, Bulgaria and Turkey, supported by a European Union grant of over €30,000 through the Youth in Action programme. The training ran from September 2013 to April 2014 and focused on activities covering environmental issues. The youth workers have selected projects from a range of topics including: using sustainable materials; conservation & preservation; recycling and using recycled materials; energy; ecosystems and prevention of environmental damage. The participants spent a week visiting various projects in the Teesdale area of the UK in September, and ran a set of activities in their own countries, which were shared in the Spring of 2014 at a second seminar in Teesdale. The skills and methodologies acquired during the training were then applied locally in the participants’ youth organisations. iPortal is a platform providing teachers with valuable tools for online teaching of languages, including interactive lesson building tools, virtual classroom and 3D environment for oral skills improvement. The platform enables teachers to teach students of all nationalities in different languages in an attractive, interactive and effective way. In this project key successful entrepreneurial competences from the business world were identified and adapted to school leadership contexts and training modules were developed to equip school leadership teams to accelerate the pace of school improvement and lead and manage with greater school autonomy. 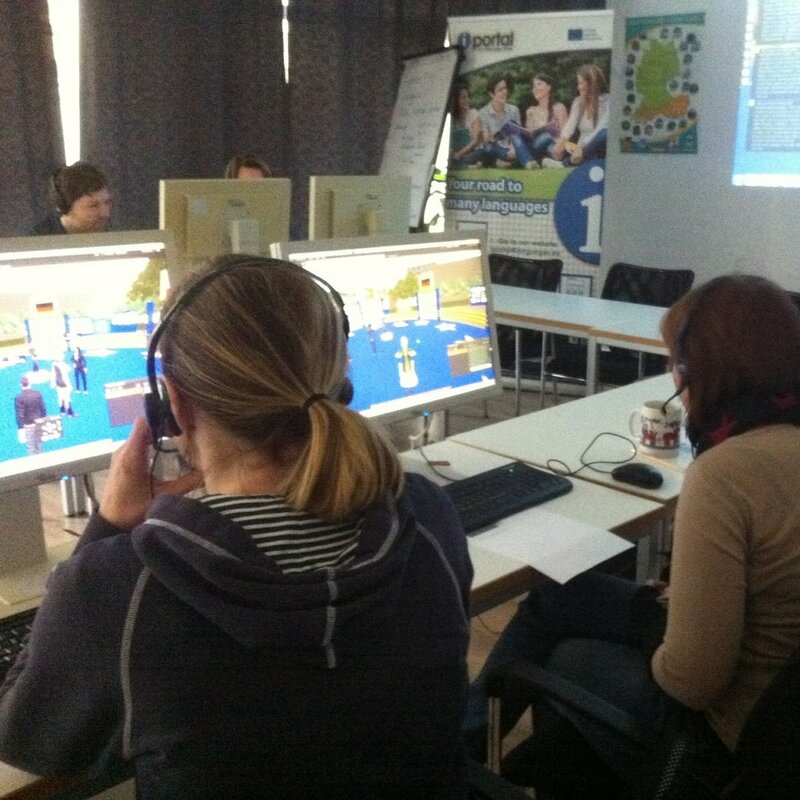 VEO Europa is a project which aims to improve the quality of teaching and learning through using an innovative technological approach, the Video Enhanced Observation App, to support initial teacher training and continuing professional development. VEO Europa is an Erasmus+ funded project which aims to improve the quality of teaching and learning through using an innovative technological approach developed at Newcastle University-the VEO App (www.veo-group.com) to support initial teacher training and continuing professional development. VEO Europa also aims to provide a tool to enable teachers to improve their monitoring and assessment of student learning. 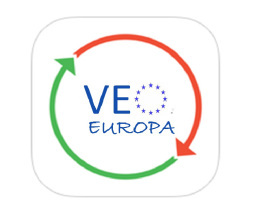 The main outputs of VEO Europa will be an enhanced version of the VEO App, an online platform hosting a set of training modules and portfolio of best practice resources, a community of practice, a series of case studies, a database and a research report and publications. 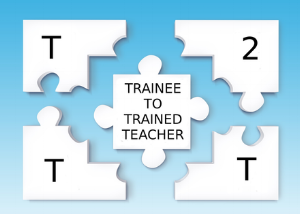 Trainee to Trained Teacher is an Erasmus+ Funded Project with the following aiming to improve the quality of Initial Teacher Education (ITE) and in particular the transition from a trainee to a second year teacher. Trainee to Trained Teacher is an Erasmus+ Funded Project with the following aiming to improve the quality of Initial Teacher Education (ITE) and in particular the transition from a trainee to a second year teacher. We seek to improve the capacities of schools in professional development for both new teachers and experienced teachers, while developing new and innovative approaches to the training of school teachers and reducing the drop-out rate of teachers at the start of their professional lives. It is a collaboration project between 6 partners from 5 countries: Carmel Academy (UK), edEUcation ltd. (UK), Teach for Bulgaria (Bulgaria), Centre for School Improvement (Lithuania), Federación EFAS Comunidad Valenciana (Spain) and Primary School of Pefkochori (Greece). This project addressed inequality in the European school systems by improving the skills of school leaders and equipping leadership teams with the competences, structures and tools required to transform underperforming schools into high performing schools in socio-economically challenged areas. LanguageGames aims to develop multilingualism skills in early childhood education. The project exploits using serious games for active learning which is pitched at the appropriate development level of young learners. It immerses learners in a range of learning activities that are based on both school and real-life. Perceptions on multilingualism in early childhood education are shifting. Emerging pedagogical theories argue that multilingualism affects a child’s cognitive development as a whole in a positive way. It widens learning opportunities as it provides access to rich educational content. Children today are exposed to languages in a natural way in everyday life: through images, games, music, text books, and more. In structured settings, a second language may be introduced as early as pre-school, although often informally through activities such as drawing, singing, playing, and more. LanguageGames aims to facilitate early language learning through learning games designed as complementary tools to be used in wider, blended classroom activities. It integrates active learning using ICT into blended learning that helps learners scaffold knowledge and skills. It promotes learning engagement through gaming mechanisms including story telling, collaboration, and rewards. It reinforces new knowledge through feedback mechanisms. LanguageGames promotes early language skill acquisition through serious gaming. It exposes learners to activities based on real-life situations. Early engagement in language learning allows learners to be more intellectually perceptive and flexible. LanguageGames provides educators with digital tools which are designed to complementary to educational content to enrich language activities in the classroom. It empowers educators to effectively integrate ICT-supported game-based learning into their teaching through developing guidelines for good practice and sample learning activities. There are 6 partner organisation from 5 countries involved in the project: Bucharest Municipality School Inspectorate (Romania), University of Thessaly (Greece), Tallinn University (Estonia), edEUcation ltd. (UK), Institute for Research and Technology Thessaly, Center for Research and Technology (Greece), Agrupamento de Escolas de Silves (Portugal).